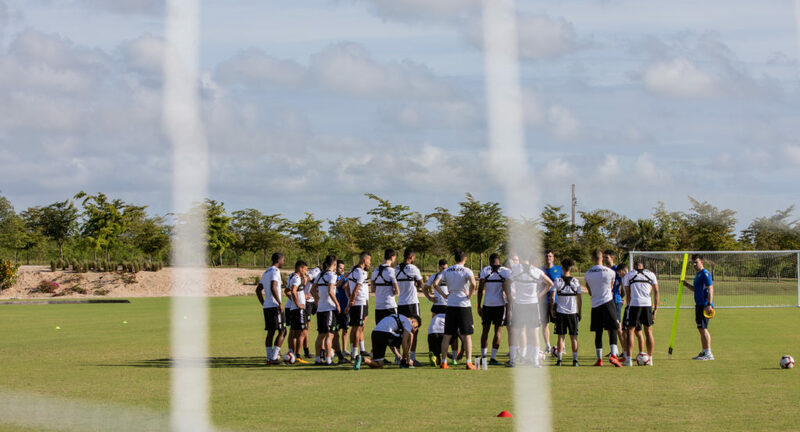 PUNTA CANA – For most of the Canadian Premier League’s crop of talented footballers, a league-wide foray to the Dominican Republic for pre-season training is a final step toward getting into tip-top shape ahead of kickoff on April 27. But York9 FC’s Ryan Telfer is in a bit of a different situation. See, while Telfer’s teammates get up to pace under the Caribbean sun, he’s getting back to work – back, indeed, for this is Telfer’s second pre-season in as many months, having already spent time in California from late January through February with his parent club Toronto FC. Two full pre-season camps ought to get a player in the best shape of his life by our count. And, as an aside, perhaps the York9 FC loanee is one of the more fortuitous players in the league, as far as enduring the Canadian winter is concerned. York9 FC’s Ryan Telfer in training down in Punta Cana. (Photo: Nora Stankovic/CPL). When Telfer returned from California, he didn’t expect to be back in a pre-season camp for quite some time. But, with Toronto FC looking to loan out their left-winger for more meaningful minutes, the opportunity to start fresh was born when Carm Isacco – once his coach at York University – heard of a possible loan arrangement. “One of those loan options was Ottawa, and some of the other TFC guys went there (on loan) as well,” Telfer continued. “Then Carm found out, and he believed it would be a better fit for me to be at York9, stay close to home, and get some meaningful minutes as well. Reunited with Isacco, Telfer has been more than impressed with his new environment, too. York9 FC’s morning training session in Punta Cana. (Photo: Nora Stankovic/CPL). Another big factor? A new role in the middle, with plenty of room to roam. Telfer may not have expected his 2019 season to turn out this way, but a saunter down south sets the stage for a historic moment he’s now eagerly anticipating – the inaugural match at Tim Hortons Field. “It sits in my mind the entire time, knowing that you get to be on that roster of players walking out and making history for the first time with a professional, top-flight league in Canada,” Telfer concluded. 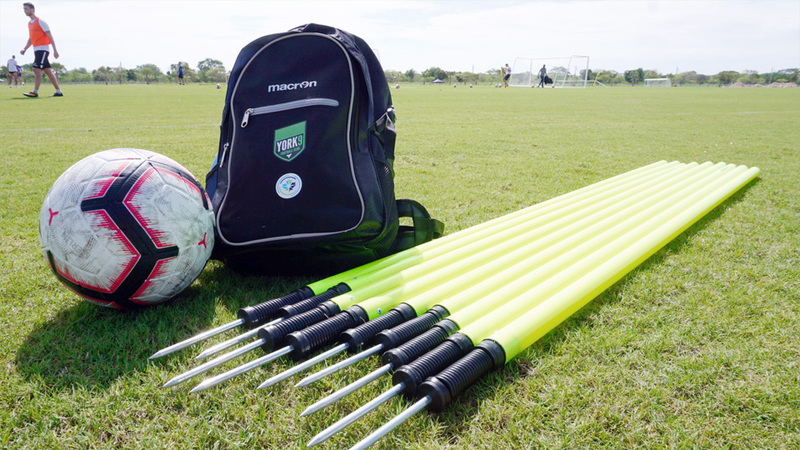 Scenes from York9 FC training. (Photo: Armen Bedakian/CPL).